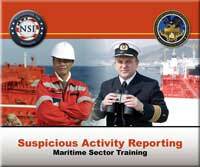 Learn more about Martime Security and Suspicious Activity Reporting. To preview video(s) click here. Click here to report suspicious activity to the NCRIC.